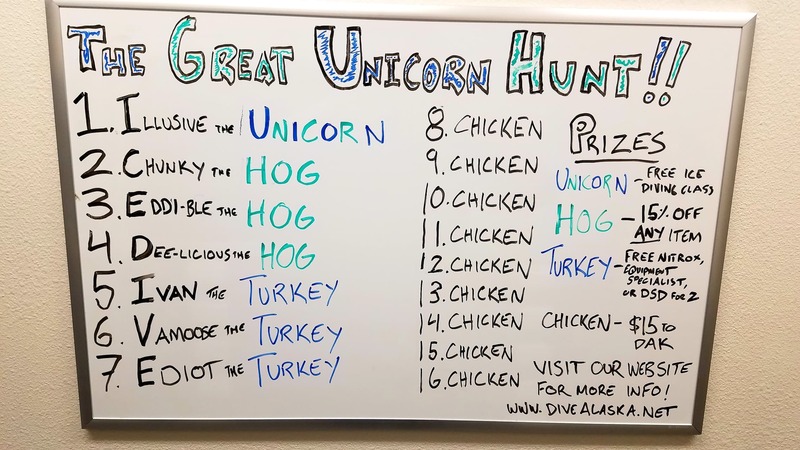 If you’re here, you’re here for The Great Unicorn Hunt. 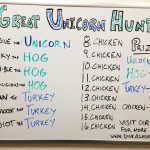 The Great Unicorn Hunt is Dive Alaska’s 2018 Scavanger Hunt. Hidden around Smitty’s Cove, Whittier, are a number of farm animals with identification tags on them. The idea is pretty simple; find a farm animal, bring it into the shop, and win a prize. The prizes all vary, with the grand prize being a free spot in one of our four ice diving classes this winter, an all-inclusive prize valued at $700. All are welcome to participate, and before you ask, all the prizes (including the unicorn) will be in recreational depths accessible to a single tank diver. The Unicorn: This is the biggie. Find the unicorn, and win a free ice diving course. The Hogs: You know the saying, “Pigs get fat, hogs get slaughtered.” Well, these three pigs are looking to be hogs, and absolutely slaughter some retail prices for you. 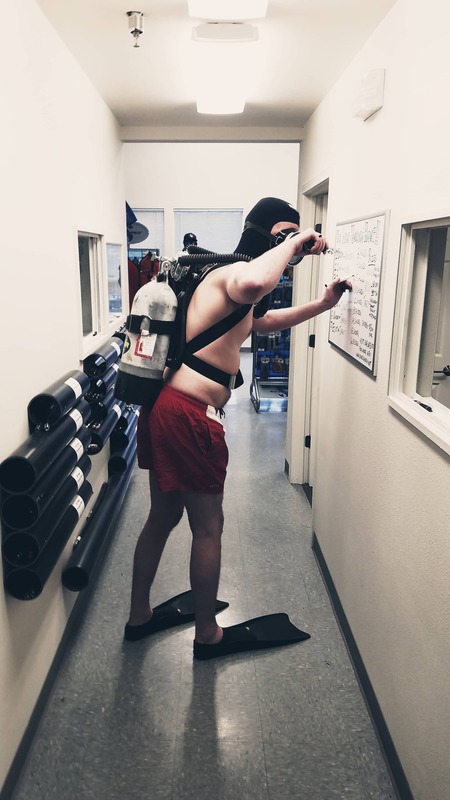 Dive Alaska is coming up on it’s 15th year in business, so if you find a hog, you can get 15% off any one item, in-stock or special order. That could be a custom Santi undergarment or one of our absolutely incredible Light Monkey heater packs. There is no limit on how much the discount can be. The Turkeys: We know what you’re thinking; “those aren’t turkeys, they’re chickens!” Well, it’s Thanksgiving season, so have some imagination. Santa’s not real either, but we’re not running around telling everyone that. Turkeys are dumb animals. Real dumb animals. That’s why we eat them. So these turkeys are aimed at making you a little smarter. Find a turkey, and you win a free Enriched Air or Equipment Specialist course, or if you’re looking for an awesome, creative holiday gift, you can forgo one of the courses, and redeem a turkey for a Discover Scuba Diving course for two. That’s a $300 gift, and the lucky recipient will never know all it cost you was a lousy turkey. The Chickens: Stop me if you’ve heard this one before: “Why did the chickens go through the Whittier Tunnel?” To sacrifice themselves to the Sea so that you can get a $15 gift card to Dive Alaska. Classic. Do. Not. Skip. This. Section. We know you want too, but don’t. 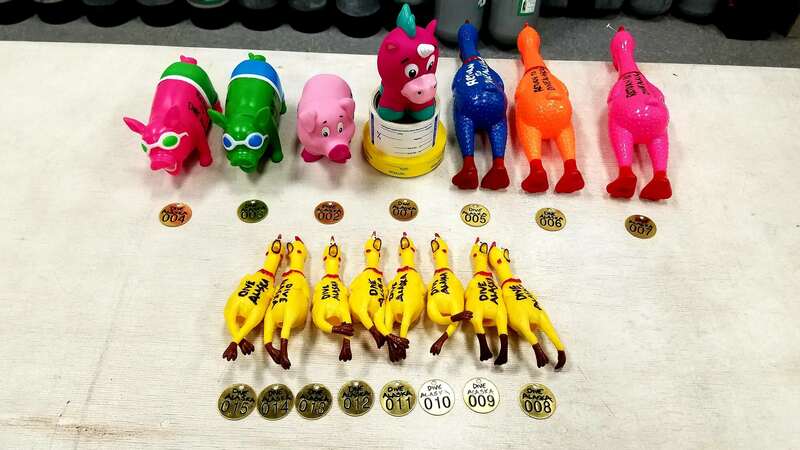 Limits: Every diver can redeem two prizes, limited to: one small prize (The Chickens) and one large prize (The Hogs or The Turkeys, but not one of each). This is to ensure a level playing field, and try to help everyone have a chance to participate. The Unicorn is always free game, regardless of whether or not you’ve redeemed your two prizes. Duration: The Great Unicorn Hunt starts on Saturday, November 24th, and ends Monday, December 10th. Any prizes brought in after Monday, December 10th are no good. Fair Play and Decency: This isn’t a rule, this a decency request. 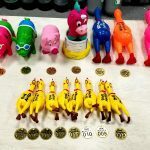 Don’t take prizes and give them away to your dive buddies. Show them where it is and let them get it, but don’t go around taking every last prize you can find and handing them out. It ruins the fun for everyone else. Are we going to stop you or not honor the prize if you find every last prize and hand them out? No. It just means you’re a jerk who wants to take away from the fun of others. If you find a Turkey, and you’ve already found a Hog, go get your dive buddy, swim back to the Turkey, and let them collect it. Expiration: Prizes must be redeemed before the end of 2018. For classes, that means the class must be scheduled before the end of the year. All items are tagged and will be secured in the Cove. After we’re done, we’re going back and collecting them all, so they don’t just become litter. You may want to bring a knife when Unicorn Hunting; they will all be firmly secured. Stop in the shop to check out the leader board and see what’s available. If you want to sign up for one of our ice diving classes, you need to do it ASAP. Space is extremely limited. 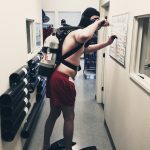 While you’re here, we now have a full list of courses that we teach at Dive Alaska!